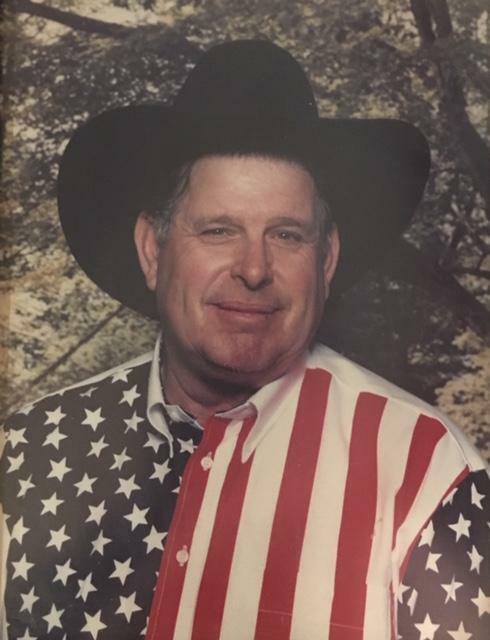 Alfred Ray Gibson died April 5, 2019 in Wayne, Oklahoma at the age of 78 years 10 months 10 days. Funeral Services are scheduled for 2:00 PM, Tuesday, April 9, 2019 at the Sunray Baptist Church with Pastor Dennis Clark officiating. Interment will follow at Hillside Cemetery entrusted to the care of Wadley’s Funeral Service. Alfred was born June 26, 1940 in Cement, Oklahoma to Sidney Alfred and Viola Nola (Davis) Gibson. He was raised in the Rushsprings, Alex and Lindsey areas. During Alfred’s school days, he played football, basketball and participated in the FFA at Lindsey High School. He was a welder for many years, but found his career being a correctional officer for the State of Oklahoma at L.A.R.C in Lexington. On February 26, 2006 he married Gladys Elaine Gallop in Wayne, Oklahoma. Alfred enjoyed spending time with his family, as well as his horses. He loved going on trail rides, or just riding in general. In his early years he team roped, bull dogged, and was a rodeo clown on occasion. Alfred enjoyed farming and all that came along with taking care of his land. Alfred is preceded in death by his parents, Sidney and Viola Gibson; sister, Dorothy Thompson; grandson, Michael James; 1st wife, Mary Louise (Heard) Gibson; and a son in law, Lloyd Derozier. Survivors include his wife, Gladys Elaine Gibson; daughters, Sheila Derozier, Teresa Gibson; sons, Ronnie Gibson and wife, Sandra, Adam Gibson and wife, Becky; step daughters, Lori Lennon and husband, Jimmy, Cindy Webb and partner, Julia Riggs; grandchildren, Eric Gibson, Amanda Norris, Yvette James, Franki Gibson, Aubrey Gibson, Abigail Gibson, Jinny Webb, Michael Woods, Ryan Woods, Timothy Cavnar; great grandchildrne, Brittany, Tanner, Brayden, Presten, Railee, Rylee, Tony, Keagan, Reece, Lilly, Robert, Kennlen, Hayley, Maggie Ann, Ethan, Sam; siblings, Mary Gibson, Betty Bray; and many other relatives and friends.